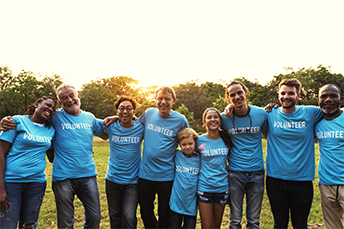 Summary: For the second week of Community Banking Month, we want to continue to recognize some of the distinctive and special ways community banks are supporting their local populations. For the second week of Community Banking Month, we want to continue to recognize some of the distinctive and special ways community banks are supporting their local populations. Today, we provide you with stories that embody both responsiveness and creativity in giving. Where there is a need, community banks reach out. We honor you all for your tireless commitment to your communities. Montecito Bank and Trust in CA was one of the few banks that remained open during voluntary evacuation. It provided 1500 face masks and 12 air purifiers in its branches, and distributed 15,000 bottles of water. $32,275 was raised for disaster relief as well. Someone in the US needs blood every 2 seconds. 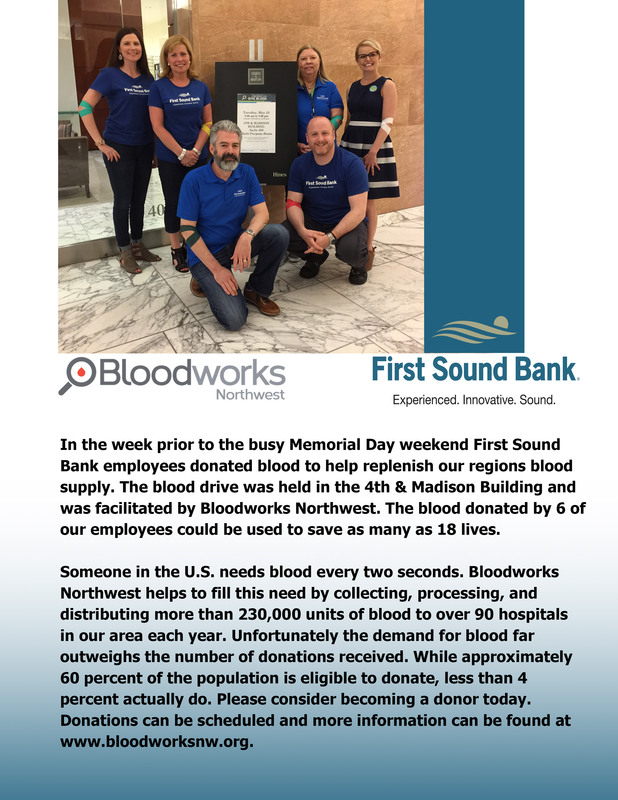 Responding to the local need, First Sound Bank of WA donated blood Memorial Day weekend to replenish the local blood supply. Partnering with People's City Mission, Cornhusker Bank in NE increased awareness and helped those in need of a pair of shoes through: monetary and shoe donations, organizing a walk in town and encouraging people to go shoeless for one day to highlight the importance of suitable footwear. First National Bank of River Falls in WI holds a Run/Walk/Roll event every year where 100% of the proceeds are used to purchase new shoes and socks for needy children. Last year, $9,300 was raised. Frederick County Bank of MD saw the possibility of providing support to the community in a new way - donating its courier car. It was donated to Second Chances Garage which provides cars to families in need for $500. Second Chances Garage also repairs vehicles at a reduced cost - repairing close to 900 cars last year. Bank Independent in AL collected school supplies for students in need through their School Share program. They donated close to $15,000 and 960 volunteer hours in total through their four Share programs in 2017. Carlsbad National Bank in NM recently donated $1,000 to Packs for Hunger, which works to fill backpacks with nonperishable food for students who are in need of meals over the weekend. The students can continue the program as long as they return the backpacks each Monday. This program feeds 200 students. Winona National Bank of MN helped to kick off Minnesota FoodShare's Grocery Grab campaign where local teams raced through a local grocery store and collected food in 90 seconds. All food was donated to the local food bank. We honor all community banks this month, not only those whose stories we share. We want to take this time to thank all community banks for keeping our communities strong! A large transaction has banks looking closely at their exposure to shopping malls. That's because mall REIT owner GGP has accepted a lower bid than expected from Brookfield Property Partners. GGP is considered to have some of the highest quality malls in the country and has been experimenting with mixed uses as well, so this is unwelcome news to lenders and investors. 1) American Bank & Trust ($709mm, SD) has announced it will acquire Farmers State Bank ($117mm, SD) for an undisclosed sum. The Fed NY has announced San Francisco Fed President Williams will officially become its next president starting this summer. Williams replaces retiring President Dudley. Fed Chair Powell was upbeat about the economy at his first news conference and downplays concerns about fast-increasing inflation. "The job market remains strong, the economy continues to expand and inflation appears to be moving toward the FOMC's 2% longer-running goal." Retail giant Walmart said it will take its money transfer service global as it seeks to expand in this area. Walmart2World is a partnership with MoneyGram International and will allow Walmart shoppers to send money to other people in 200 countries. The service will be available in store, as well as through the website and mobile app, so banks should take notice. Your bank can offer foreign exchange forward contracts that allow your customer to manage exchange rate risk while you generate extra fee income. Contact us today for more information.